I’m writing this post from 35,000 feet in the air onboard a Southwest flight on the way to Las Vegas, where we’ll change planes to head to Oakland, California. My mom, brother and his girlfriend, en route for a week of fun touring a part of the country we haven’t been to yet. If you know me by now, you know that I don’t go a day without my Ningxia, so naturally this is, of course, something that I make sure I have packed ready to go when I go anywhere. I emphasize Ningxia because of what it does for the body – NUTRIENTS. Sure, you might be thinking “I get my nutrients from the food I eat” – but are you really? When traveling, it’s so easy to go for the quick fast food that’s accessible at the nearest gate or off at the closest interstate exit, and it’s important to eat so you can have that energy to get from point A to point B. The point I want to bring up is the fact that our conventional food simply is not as nutrient-dense as it used to be, and our “food” is more-or-less ‘empty’. That’s where Ningxia Red comes in. If you’re mindful of getting all the essential nutrients, essential fatty acids, and antioxidants into your body daily, especially while traveling, don’t forget to take your Ningxia! You and your body will love it! Young Living has a couple of amazing probiotics available, and the newest is the awesome MightyPro! This was actually a product that was designed with kids in mind, and I’ll tell you, you kind of feel like a kid when you take it because it’s like you’re eating candy. When we were waiting for to board the plane in KC, I gave everyone in my group a MightyPro to see what they thought. For the record, it’s not the easiest task to get my brother to try anything that has to do with wellness or the holistic lifestyle… a little resistance from the younger brother in his mid-twenties – but that’s for another post. They all loved the taste! They may not have realized it, but taking the MightyPro was a good supplement to start our trip out with. Is that burger or chicken sandwich from a source that didn’t use antibiotics? How can you know either way unless you go to the source directly, right? Probiotics are so needed in our daily regimen to help get the bad bacteria out and to flood the gut with good bacteria to support the body – our body NEEDS good bacteria! Besides Ningxia Red and Mighty Pro, I have Master Formula, MultiGreens, Sulfurzyme, AgilEase, and Essentialzymes-4 with me. These are all things that I consume on the daily, and I love that Young Living has a supplement case to put them in! Master Formula is a full-spectrum multinutrient complex, providing premium vitamins, minerals, and food-based nutriment to support general health and wellbeing, and is a perfect combination with the benefits of Ningxia Red. Multigreens are capsules that contain chlorophyll with therapeutic-grade essential oils to boost vitality and support a healthy circulatory system. The capsules also contain bee pollen, barley grass juice, spirulina, alfalfa, and pacific kelp. Essentialzymes-4 is a digestive enzyme that is suggested to take at the time of meals where we’re consuming animal products, carbs, and fats. Enzymes help the body to break down the food for the body to be able to better assimilate what you ate. It may also help with easing digestive discomforts. Deep ReliefOkay, there’s no telling how much hiking we’ll be doing on this trip, but it is good to be prepared! Deep Relief is awesome to roll on to areas of the body that are tired and needing some recovery support. TranquilThis roll-on is my go-to for when I go to bed. I roll it onto my wrists and back of my neck before hitting the pillow. I may also use this oil to chill out in tense situations. Jade Lemon VitalityI love putting a couple drops of Jade Lemon into my waterbottle. Since water doesn’t have a consistent flavor from city to city, it’s always nice to add some good, healthy flavor to it – and it actually helps to support optimal wellness! Jade Lemon tastes like regular lemon, but in my opinion, it’s a little bit sweeter. It’s a Japanese citrus fruit. BelieveGotta love Believe. I mostly brought this oil to put into the diffuser I brought. It’s one of my favorite blends, and it’s very grounding and supportive emotionally. PanawaySimilar to Deep Relief, Panaway has fewer oils in it, but it packs a big punch. You can say it’s a more ‘concentrated’ version of Deep Relief, and it offers very similar benefits. Depending on the situation, I may use one over the other. I brought it just in case as it also supports the muscles and bones. Peppermint VitalityLike Jade Lemon Vitality, Peppermint Vitality is another oil that I like to put a drop of into my waterbottle. It helps to cool the body down, and also is supportive to the digestive system, especially when theres some stomach upset. RCThink of “RC” as “Respiratory Care”. This oil contains multiple eucalyptus species, which has historically been known for its support to the respiratory system. Combined with other oils that support breathing, this oil is a must have for me when traveling because sometimes I need support for taking fuller, deep breaths. I may use this topically by applying a drop or two to my chest, a drop on my hands rubbed together and creating a ‘scent-tent’ over my nose and mouth to inhale deeply for a few breaths, or I may diffuse RC by putting a few drops in the diffuser and breathing the air passively while also in taking the benefits of the oils. Lavenderaka “the Swiss Army Knife of Essential Oils” because if you’re not sure which oil to use, use Lavender! 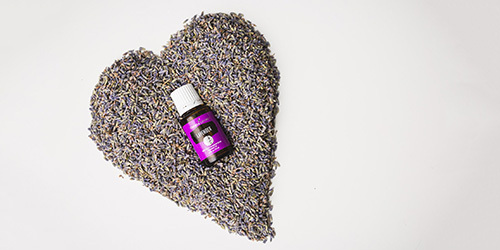 This oil has a huge variety of constituents, which means that there are endless ways you can use Lavender. FrankincenseI love to apply Frankincense to my face to support healthy looking skin, and it is also very grounding for me emotionally, and at the same time, spiritually uplifting. Thieves VitalityThis isn’t the only Thieves product I have with me on this trip, but it’s the only one that’s getting pictured in this post 😛 – I also have Thieves Waterless Hand Purifier and Thieves Spray – because ICKIES ARE EVERYWHERE. Must protect my bubble! Thieves Vitality is a super great oil for supporting the immune system. Digize VitalityThis oil sometimes gets overlooked when packing the bags, but coming from experience, when you need it, you wish you had it with you. I mentioned how water doesn’t taste the same from city to city earlier – go beyond the taste and think about the filtering process of that water. Digize Vitality is essential for traveling because you really don’t know what’s in the water you drink, and sometimes this can lead to some unfortunate events. Digize Vitality has been known to help support the body, especially in the digestive system. It may also to help prevent any unwanted hitchhikers from traveling with you back home. There are a few other things that I packed in my bag that I would consider essential for trips – shampoo, conditioner, body wash, deodorant, toothpaste, dental floss, mouthwash, lotion, lip balm, etc. All of these things that I packed are all available through Young Living! 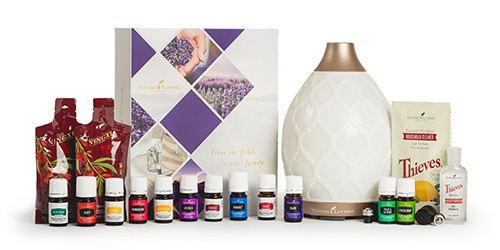 Check out Young Living’s Product Guide to see everything they have to offer. 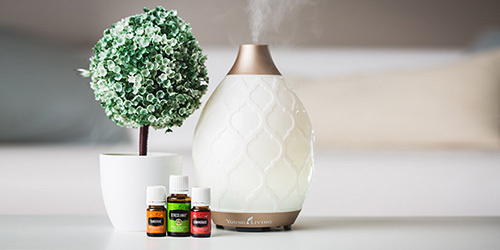 If Young Living has an alternative to the things you already buy, consider switching to Young Living for your source of products. Why? Bottom line: Cheaper, safer, healthier.